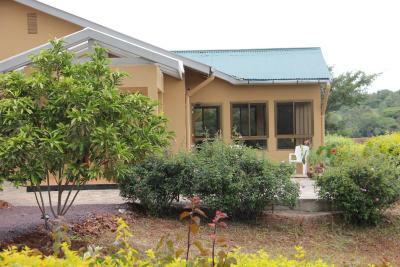 Lock in a great price for TanzanIce Farm Lodge – rated 9.1 by recent guests! Oliver and team provided us with the top most hospitality that you may get in the region. They were extremely helpful, flexible to our non-ending requests. Food was extremely delicious. We had an infant with us and we received all the help that was required from the team. All family members were completely satisfied. Our special thanks to the team and will definitely visit again when planning for the next trip.. Keep up the good work Tanzanice Team!! Super staff. Excellent service. Great view from our room. Nice deck. I think it would be nice to have a shade umbrella on it. Fantastic staff that really made you feel at home! Loved the working farm portion. 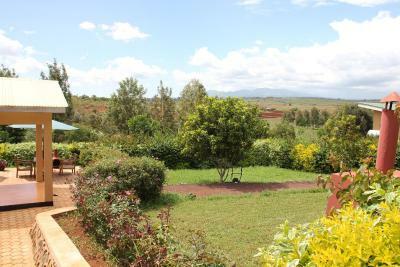 tanzanice farm is a lovely place to stay. unfortunately it was raining whole day and night but the staff was friendly. the room was clean and we felt very welcomed there. they prepared a lovely dinner for us, what we though needed to announce in advance. 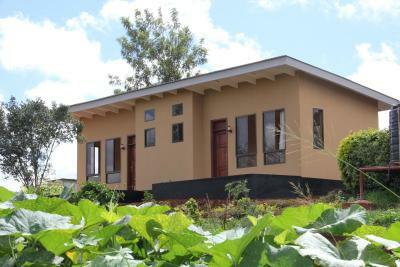 the farm lies in karatu just half an hour before reaching the ngorongoro gate. i would recommend anyone to stay there. it is a lovely place! Service is the BEST we have seen in Tanzania. Place is grate - private and beautiful. Food we loved (lasnge was our favorite :) Would go back for sure!! Place was very comfortable, staff very friendly and welcoming. Great meals and excellent value for money. We had an incredible stay at Tanzanice. 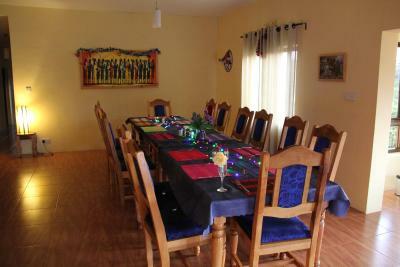 The location is simply stunning and the staff will go to any length to make you feel comfortable. The shower was warm with plenty of pressure. The food was excellent and affordable, as were the lunch boxes which always contained more food than we needed. The bed was big and comfy. There was plenty of room to sit outside. 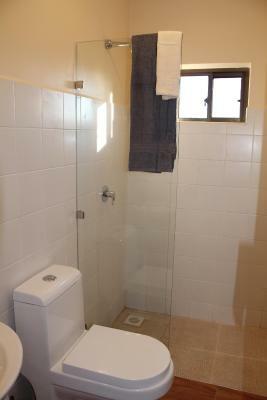 Each unit is equipped with a bathroom fitted with a shower. Bed linen is featured. 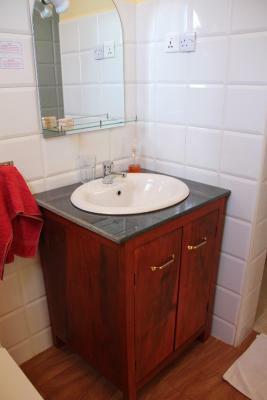 The property offers free WiFi in the public areas and free secure parking on site. 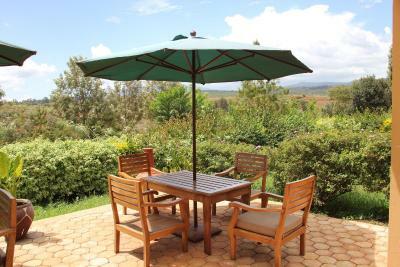 TanzaNice Farm guests are able to observe and participate in the farm's activities, or relax on the terrace offering views of the garden and sunset. 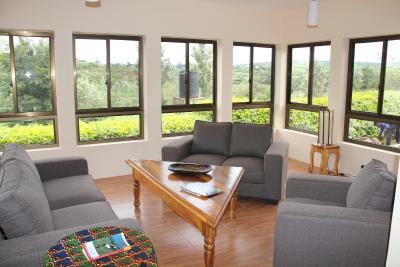 When would you like to stay at TanzanIce Farm Lodge? 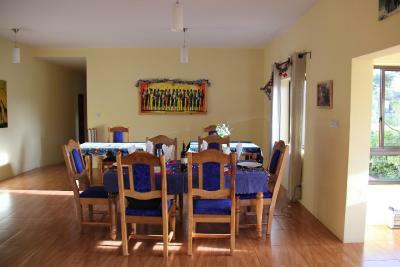 This twin room has a dining area, tile/marble floor and seating area. 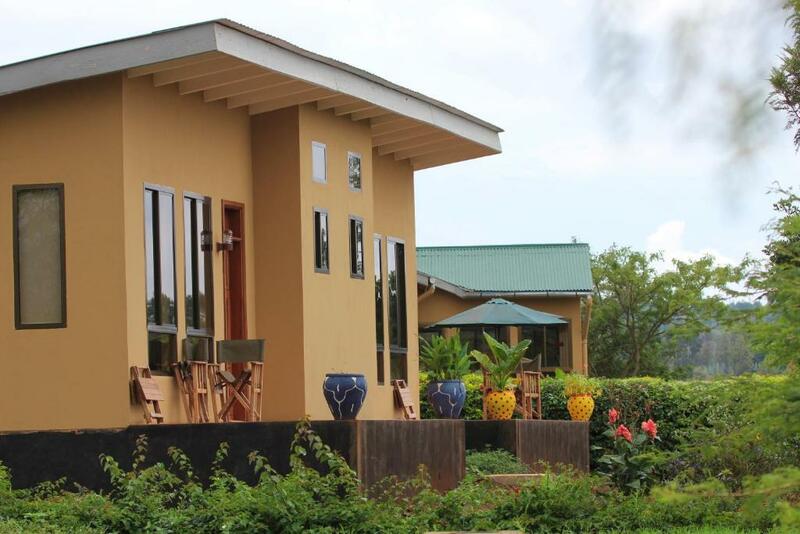 House Rules TanzanIce Farm Lodge takes special requests – add in the next step! 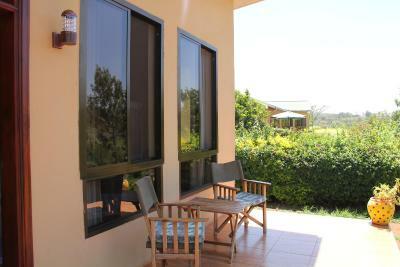 TanzanIce Farm Lodge accepts these cards and reserves the right to temporarily hold an amount prior to arrival. Please inform TanzanIce Farm Lodge of your expected arrival time in advance. You can use the Special Requests box when booking, or contact the property directly using the contact details in your confirmation. Staff was absent on arrival. We nearly left thinking that it was closed. Dinner was very expensive in relation to what was provided. A fan in the room could have been better as it was warm when all the doors were closed. Breakfast was terrible. We were not even offered eggs. The pancakes looked at least day old. All the breads were dry. Dinner and lunch was pricey for what we got and not that good. Excellent staff, quiet place, great views, good terrace, very good food, good service. Had an amazing birthday party here, the staff is amazing! They also arranged a last minute excursion to the Ngorongoro crater for us with an excellent driver and for a very reasonable price. WiFi was only available for short amounts of time as the staff could only purchase a few GB of WiFi data at a time. This is fine if you just want to check your mail or confirm your next stay, but using it for streaming video (as some other guest were doing) makes it run out of data very fast. There were a few critters in the roof, which made us wake up a few times. The shower could do with a good clean. I would recommend making the sign at the main road more visible (or at least larger): you can't see it coming from Ngorongoro and we almost missed it coming from Karatu. However, the property is located where Booking says it is, so we had little trouble finding it. Very clean, comfortable and modern structure. Very kind staff. We contacted the owner before arriving to the resort in order to get a shuttle from the kilimanjaro airport. He gave us an EXTREMLY expensive price(160USD) telling us it was more than double the distance than from Arusha airport for which he proposed 80 USD. 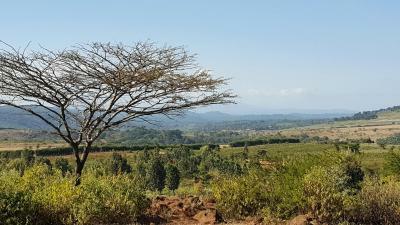 It was not the case at all (2hours and a half from Arusha airport and 3hours and a half from Kilimanjaro). He did not want to lower the price. Dinner is a bit expensive too. If you want a shuttle from the airport, do not relay on the owner. The staff was VERY kind, extremly helpfull, always smiling and available to help us for anything. They arranged for us to go on a safari, it was amazing(even though we paid 250 USD and realized there were safaris for 160USD, but it was really worth it!) Thank you to TanzanIce farm staff, you were amazing with us!!! Fantastic vegetable curry for dinner. Very friendly staff. Very Clean. 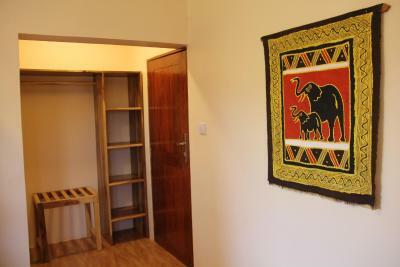 Excellent standard of rooms. Cheaper than other similar standard properties. Fantastic story behind the couple who have developed the lodge helping the village. Very nice and helpfull staff. Good and calm atmosfhere. 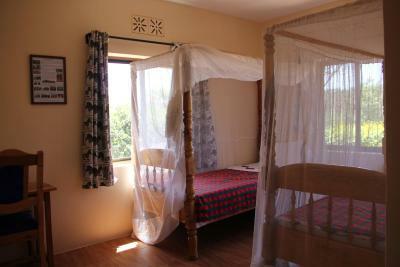 Perfect for relaxation and tours to Ngorongoro. A bit expensive, but the place supports some local projects which I find good. I can recommend the place.